The renovations are now completed as of January 7, 2019. Qualifies for Rural Development 100% Financing! 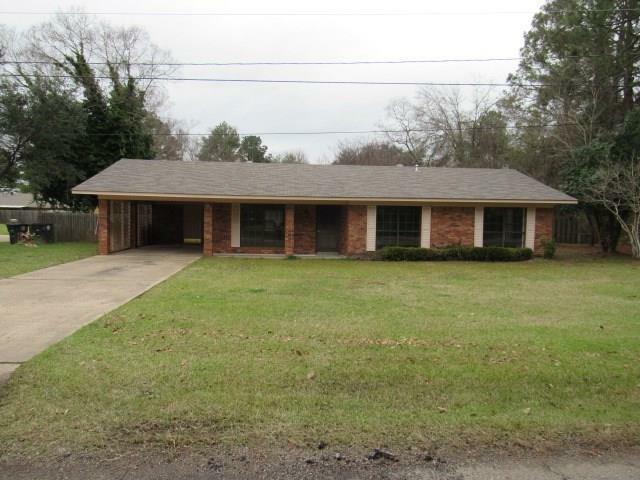 This move-in condition remodeled East Natchitoches brick home has 1,902 square feet of living area. It has an open floor plan, 3 bedrooms, 2 baths, living room, huge den, kitchen, laundry room, separate rear storage unit and wood fenced yard. This home has many updates throughout including new carpet in bedrooms, living room and hall, new ceramic flooring in kitchen, bathrooms and laundry room, new granite bathroom vanities with matching mirrors, new kitchen counter tops with back splash, new stainless steel refrigerator, dishwasher, gas cook top and double sink, 6 new ceiling fans, new interior and exterior paint and new interior and exterior lighting. All heating, air conditioning and plumbing inspections completed.